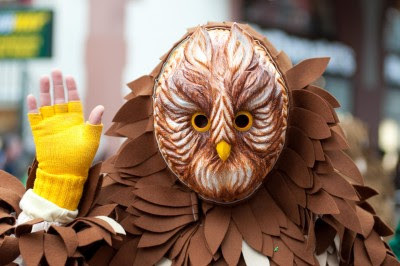 I miss Germany: the people, the countryside, the food, the traditions, and more. Usually, when you say the work "homesick", you're talking about your hometown. I also include the city of Lahr im Schwarzwald which was my home for 8 years (1973-77 and 1988-1992). I find it hard to believe that it's been 19 years since I've been in Lahr. 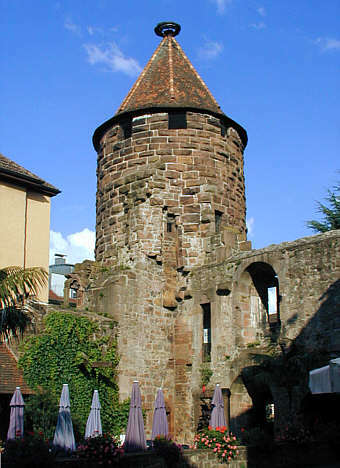 The Stork Tower (Storchentum) on the Marktplatz and the remains of the city wall. 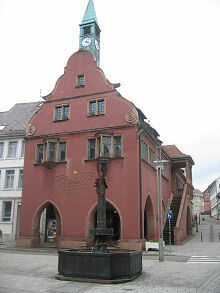 Old City Hall (Rathaus) in Lahr. ﻿﻿﻿﻿﻿One of the times of year that I miss Lahr the most is leading up to Easter. 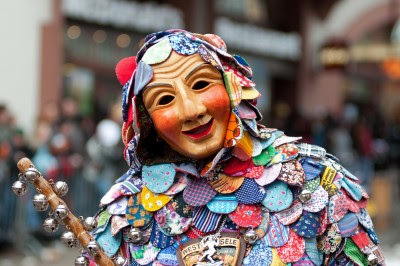 New Orleans has its Mardi Gras, Rio de Janiero has its Carnival, and Germany has Fasching and I would love to be in Lahr to see a parade. 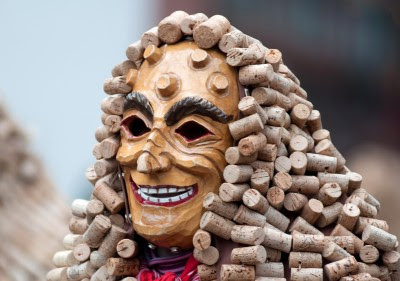 The masks (often made out of wood) and costumes, each representing a nearby town or village are amazing. 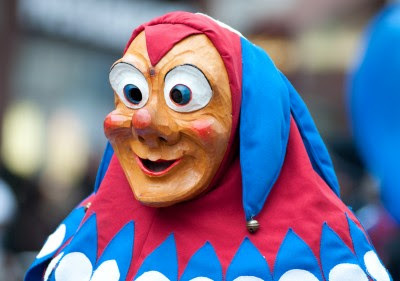 You don't want to wear a hat or one of the characters in the parade might take it and make you chase him down the street to retrieve it. It's all in good fun, no matter what your age. ﻿ ﻿I've made a decision that returning to Germany is something that I must do. I don't know when, it might be a couple of years, but I'm going to start planning. Planning is part of the fun, afterall. I'm looking forward to seeing my friend, Rosa, walking on cobblestones, driving through the Black Forest and seeing the Rhine, visiting the Stadtpark (City Park), going to nearby towns, seeing castles, sitting at an outdoor cafe, etc. etc. etc. Ah! You just made me homesick too. I still have relatives in Germany and it's been too many years since I've been back. I, too, am planning a trip. I want to take my daughter there, so she can see my roots. It is my experience that there is only one cure for homesick! Go there.